Well, it’s been an interesting week/month/year/whatever. The basic life stuff is that I work, I have two kids, and a wife who works and takes call hours at a hospital. All in all, that’s pretty busy. Add to that the volunteer work I do with the church and various time commitments from family, friends, etc, and it’s a busy an hectic schedule. So, my plate was pretty full. Over the last couple months, I’ve been stressed. (Just having a 2 year old will do that, by the way…) Money’s tight, time is tighter, the kids are rebellious, and the parents (me and my wife) had no time to themselves or each other. It was getting rough. And during this time, I started to feel some pressure in my chest. And occasionally (but rarely) I would feel a little dizzy. Fast forward to a couple of weeks ago. The pressure was nearly constant. The dizziness had happened for three days in a row. It was getting a little freaky. There’s a history of heart-related deaths in my family, so I figured it wasn’t worth waiting for anymore. I’d get myself checked out. So, on Monday, I went to the doctor. The doctor scheduled some tests, and I’ve been doing those throughout the week. I’ve had an EKG, an echo-cardiogram, a chest x-ray, I’ve had multiple blood tests, urine sample tests, stress tests, isotope injections* (to check the blood flow), and all sorts of needles, forms, questions, and much more… Point being, a lot of stuff going on this week. So, while I haven’t gotten the results of the most important tests, heart-wise, I know a couple things, because I did get the chest x-ray results back. First off, I have pneumonia. Walking pneumonia. (As opposed to bed-ridden stuff.) I had a bad day about two weeks ago, where I nearly fainted in church and felt really weakened, etc. My kids went through a day of this too, so I didn’t think much more of it than simply something I got from my kids. It was a 24 hour-thing, so again, when it was done, I thought it was done. On top of all of this, I quit smoking just two and a half months ago. So the idea of me coughing and hacking up a lung seemed par for the course. And I’ve got terrible allergies that are year-round, so not feeling 100% is also pretty normal for me. Point being, the chest pressure never crossed my mind in that capacity. So I’m hoping that when test results come back later this week, it is confirmed that nothing is going on heart-wise (well, other than the normal thump-thump kind of business) and that the pressure/pain was all due to this pneumonia. However, another thing showed up on the chest x-ray. 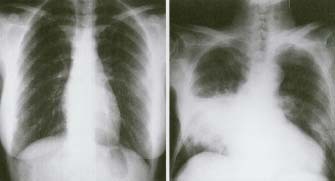 While the pneumonia was primarily in my left, lower lobe of my lungs, the right side showed my lymph nodes to be enlarged. 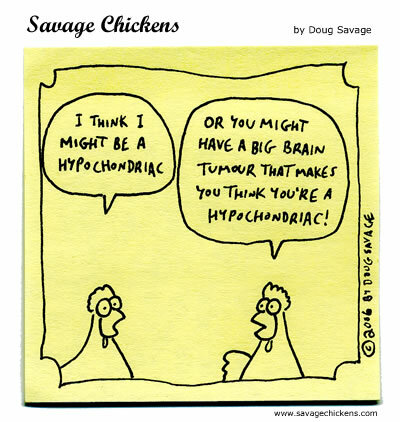 This could be many things, ranging from nothing, to sarcoidosis, to possibly cancer. For this reason, I’m going to get a CT-scan (don’t ask…I don’t know what that really is) after the pneumonia is cleared up (after 10 days of horse-pill-sized antibiotics). So, needless to say, things are a bit scary, but then again, there’s nothing to be particularly afraid of yet. Nothing is confirmed, and it could be that the x-ray showed something that really was nothing, and that the CT scan would confirm as such. But it’s still unnerving. So, yeah. Life’s been odd. I’ve definitely had an emotional and stressful week. In fact, I haven’t even had a chance to tell my parents all of this, because the two times I tried to call (I didn’t want to call before I had SOMETHING as a diagnosis, and yesterday was the first day I had actual results, so…yeah) no one was home to pick up. So I feel a little bad putting this out on the web and all, but I wanted people to know why I haven’t been writing, or gaming as much. I’m fine. I can move around and do stuff, and I’ve got a little cough. But I’ve been seeing doctors, getting all sorts and sizes of needles shoved into me, all sorts of samples taken out of me…and yeah. I’ve been tired. And the normal family/job/church/etc responsibilities don’t stop because you’re sick. In fact, it just makes it harder, because less money is coming in, because you miss work to take said tests. So, the main point other than informing you all, is that I’d really appreciate your prayer. Of course, if you don’t believe in prayer, that’s fine. But those of you that believe in my God, I’d really like it if some people would be praying for me. While I don’t want to go anywhere, and I don’t want to ever leave my family behind, I don’t personally care much what the results are of all these tests. But I would like to be sure that they’re accurate. That the doctors and specialists looking at the test results interpret everything correctly, and of course, that any viable option for treatment is considered. And most of all, for peace for me and my family, regardless of the results. Mostly, I’ve been the one the most upset about all of this. I’m starting to realize though, that the only thing I’m certain of at this point is that I have pneumonia, which WILL clear up soon. 🙂 So that’s excellent news. I’m hoping everything else comes out 5×5, but yeah. Who knows. As always, thanks for reading. Thanks for your patience in waiting for new posts, and I assure you that when I get a real chance to game substantially, there will be writing accompanying it. Thanks for your prayers, thanks for your emotional support. In short, thanks!